The electric scooter of British Zapp is designed with style-conscious urban dwellers in mind. The acceleration brings it near small motorcycle territory. With a torque of 587 Nm the 14 kW strong Zapp i300 accelerates from 0 to 48 kph within 2.35 seconds, according to the manufacturer. The top speed is electronically limited but still reaches an impressive 96 kph (60 mph). The payoff is however a range of no more than 60 kilometres. 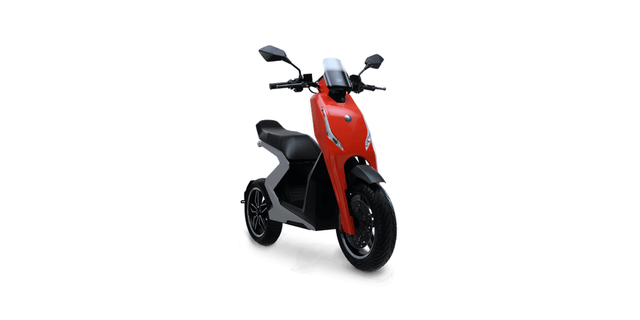 But the electric scooter features two battery packs each rated at 1.25 kWh for a combined 2.5 kWh of capacity. Both are removable to allow for remote charging which should be fairly easy as they weigh just 5 kilos each.